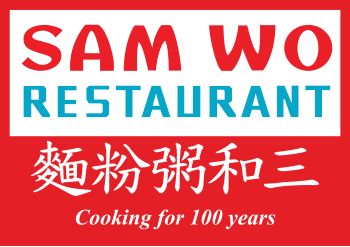 Sam Wo was built shortly after the 1906 earthquake at the original location (813 Washington Street) by three immigrant siblings from the village of Taishan, China, was famous for inexpensive barbecue pork rice noodle rolls and porridge called jook until 3:00AM. Old timers remember when Chinatown generations ago was the destination after a night out for siu yeh, Cantonese for late night meals popular in Hong Kong and South China. For many people, eating at Sam Wo grew into a family tradition. For others, the restaurant came to symbolize an important time in their lives. It tastes as if the chef takes pride in these dishes. The chicken jook has an intense flavor, and in the plain wonton soup the deeply flavored chicken broth also stars. "San Francisco is just better when Sam Wo's is open." For parties larger than 6, reservation is strongly recommended. Feel free to inquire with the form below or give us a call at (415) 989-8898.